Over the weekend at a baby shower, I had some eggplant parmesan that was delicious! It was so good that I wanted to make some more but there was one little challenge - my husband *hates* eggplant. With that in mind, I decided tonight is when I would reintroduce eggplant to him. He hated it until tonight and this is a huge culinary milestone! There have been so many recipes I've wanted to make using eggplant but I had to pass them up since making those dishes are difficult for only one person who'll eat it. But no more... we have embraced the eggplant! What dish did it? This eggplant parmesan was what warmed my husband up to eggplant. It's a recipe that's flavorful and if an eggplant hater has grown to enjoy it, I'm sure that's telling of how good this is! I halved the recipe below since it's only for the two of us and it was perfect with leftover to enjoy later. Combine the wine, dried herbs, tomato ingredients and garlic in a large saucepan; bring to a boil. Reduce heat, and simmer, uncovered, 20 minutes. Place eggplant in a large bowl; add water to cover, and let stand 30 minutes. Drain well; blot dry with paper towels. Combine 1/4 cup water and egg whites in a shallow bowl for the eggwash. Combine breadcrumbs and Parmesan cheese for the breading; stir well. Dip eggplant in egg white mixture, and dredge in breadcrumb mixture. Place eggplant on a baking sheet coated lined with parchment paper, and broil 5 minutes on each side or until browned. Set eggplant aside. Spread half of tomato mixture in bottom of a 8 x 8-inch baking dish coated with cooking spray. Arrange half of eggplant over sauce; top with half of mozzarella cheese. Repeat layers with remaining sauce, eggplant, and cheese. Bake at 350° for 30 minutes or until bubbly. Let stand 5 minutes before serving. Garnish with fresh oregano sprigs or basil, if desired. Looks really good and very hearty. oh my gosh, that looks so good! i need to make that soon! My husband doesn't love eggplant either. I bet this has the potential to change his mind! Looks great. This looks really good! One of my friends has been craving eggplant parm so I just sent her this link. I have the same problem - my husband despises eggplant, and I make really good eggplant parmesan - even my kids eat it. I cook mine at a high temp as well - who needs all that oil? But just looking at it is making my mouth water.......yum. Thanks for this recipe! I love eggplant parm but have been afraid to make it. This recipe makes it seem like I can handle it though... so I might brave it soon! I keep saying I want to make eggplant parmesan. I have never even tried eggplant! Sounds easy enough and looks fantastic. I like that this recipe is weight watchers friendly! I love eggplant parm! That looks amazing!! This looks warm & yummy! Maybe this one will help me win my husband over on eggplant! 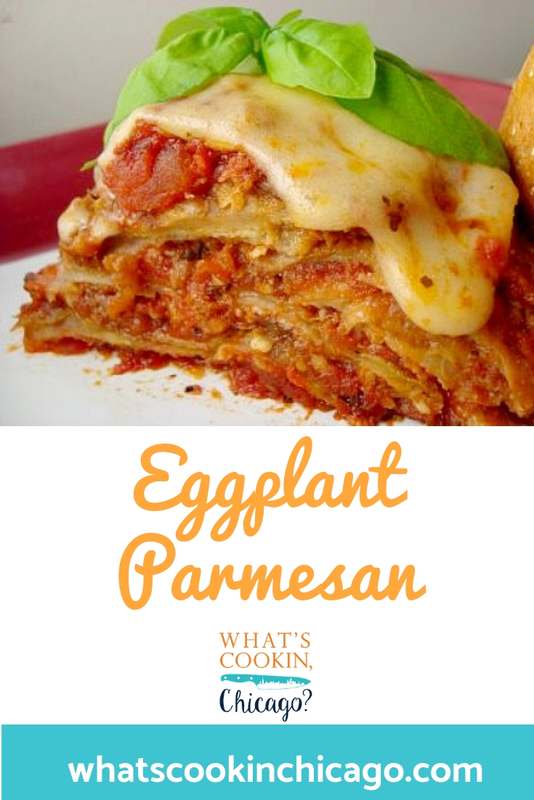 I love eggplant parmesan and this looks great! I actually like eggplant, but it definitely disagrees with my stomach, so I can't eat it, which makes me sad. This sounds wonderful! I love that it is all eggplant and no noodles.